Press Play to hear Amy’s best advice on growing her blog, finding content for the Useletter, selling e-books on Amazon and via affiliates, and making the most of guest posts. This episode is chock full of great content! Consider it a free coaching call with Amy –-we certainly did! Amy was an avid consumer of online content by the early 2000’s. She’s a learner at heart, so she loved being able to find information quickly and stow it away easily. She assumed (as many of us did!) that you had to be a computer guru to start your own website. One day, she got an email from her cousin telling her to check out the new website he had created for his newly formed non-profit. This was the turning point for Amy’s online career. She switched from seeing herself as a consumer of the internet to a potential producer of content online. Be patient. Building solid relationships and a solid reputation online is important, and it’s a process that takes time. People will stick with the individuals they trust. “Building a reputation of trustworthiness… you can’t short-cut that,” Amy says. There used to be a much higher emphasis placed on traffic. The old blogging formula was simple: Get tons of people to your website and serve up ads that will make you money. With Google algorithm changes, Facebook changes, and so many other factors outside of our control, it no longer makes sense to rely on traffic-dependent sources of income. Amy realized that she needed to own as much of her online presence as possible and not depend on other sites to send people her way. She took some of her eggs out of the traffic basket and began building her email list. Amy cites Seth Godin’s principle of permission-based marketing. Email means that others are giving you permission to decide when you want to pop into their inbox. Anyone who’s on Amy’s list knows how valuable the Useletter is. 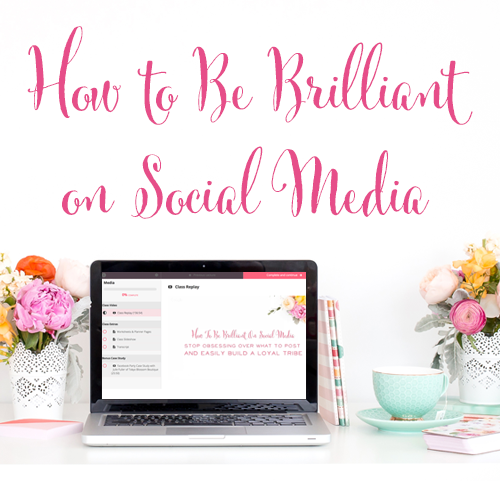 Amy clearly spends a lot of time curating the best content and tips to share with her subscribers. How did she become such a well-known curation queen? Amy breaks it down for us. Amy naturally reads a lot, and the Useletter gives her a great excuse to feed her reading addiction! She uses Feedly to keep track of the blogs she follows. She organizes each blog according to the main topics she usually shares about in her emails. She tries to hit about 4 of those main topics each week, alternating week by week so that her subscribers grab tips in different “flavors” each week. As Amy scours the web and her favorite blogs for the best content, she’ll highlight the tip, write a quick comment, and send it to Evernote. Within Evernote, she tags all the tips that fall under the same Useletter category. 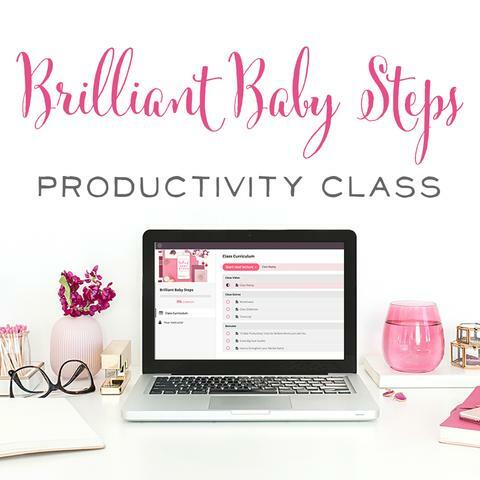 This way, when she’s building her Useletter for the week, she can grab from the topics she wants to cover that week and she already has a stack of great tips ready to go. Watch Amy's video on how she uses her editorial calendar. Amy is so honest and upfront, we just love it! She shared with us that her email list is approaching 11,000 subscribers, but there’s a stat she cares about far more than that one. For this reason, she frequently deletes unengaged subscribers. This not only saves money by not paying for people who aren’t opening your emails, but it also increases your open rate. There’s no reason to pay for unengaged subscribers. Amy’s tip for those wanting to increase their open rates? Provide consistently good content and make sure that the people on your list know what to expect and look forward to what you’re sending out each week. Oftentimes, a successful product doesn’t spring from a burst of creativity, but from those around us seeing its potential and encouraging us to move forward. This was the case with Amy’s book: Tell Your Time. 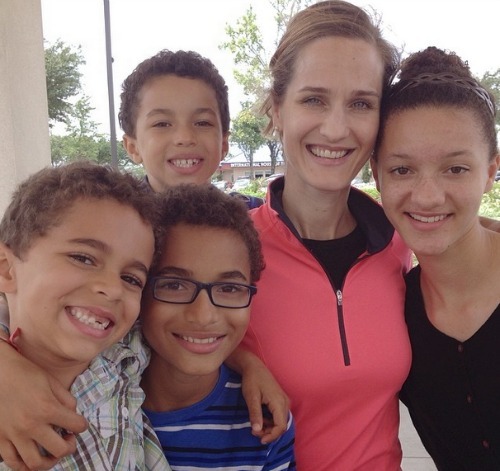 At the time, Amy was working as a VA for Crystal Paine of MoneySavingMom.com. 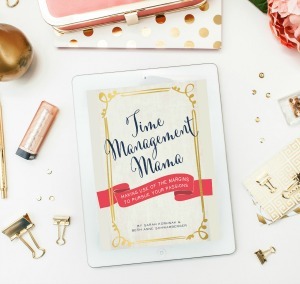 Crystal encouraged her to turn her valuable time-saving strategy into an e-book. Although writing isn’t Amy’s first love, she realized that putting pen to paper (or fingers to keyboard!) would not only get her information out to others, but allow her to experience the e-book process from start to finish. She’d learn more about writing, marketing, and selling, and then share all of that information with her readers. Choose to be on the front-end of new trends in business. Dive in and learn as you go. Don’t wait for others to show you how to sell an e-book, launch a podcast, or whatever the case may be. You might miss out on a big opportunity if you don’t latch on while it’s at its peak. Establish relationships with other bloggers and set up an affiliate program for them. 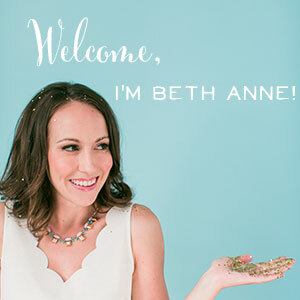 Amy used E-junkie to create an affiliate program for her e-book. All of her affiliates received 50% of the sale price when they referred a sale to her. She sold many more e-books through affiliates than she ever could have sold on her own. Offer content that solves a problem or changes a life. When you can truly help someone else, they’ll pass that information along to others they know. They’re also more likely to take the time to thank you in the form of a positive review. Amy believes her relationships with bloggers and writing helpful content played a large role in getting so many reviews on Amazon. Amy shared some invaluable tips on the ins and outs of selling on Amazon versus your own site. It is possible to sell on both your own site and Amazon at the same time, but you must be careful. Below is a breakdown of the rules and requirements. Amazon has a program called kdpselect. This is something you may choose to sign up for and be part of as an author. If you choose to go the kdpselect route, you give Amazon the exclusive rights to sell your book for 3 months. During that time, you may not sell your book on your own site, or anywhere else, for that matter. However, kdpselect gives you several perks such as higher royalty rates on sales, inclusion in Kindle Unlimited, and the ability to offer countdown deals or your book for free for a period of 5 days. If you choose not to participate in kdpselect, you may put your book on Amazon as a regular e-book author, and you’re then free to sell your book anywhere else as well. The one caveat is this: you must never offer your book anywhere else for a lower price than Amazon’s price. Amazon’s price must always be the lowest price available. Note: this means that if your book is for sale on Amazon, you may not offer that same book as a freebie, lead magnet, or bonus of any sort. This would violate Amazon’s terms of service. If your book is for sale on Amazon for 2.99, that book should never be available anywhere for less than 2.99. Amazon will automatically figure out if your book’s price on other websites, such as Barnes&Noble, has lowered, and they will lower the price on Amazon to match the competitor’s price. When Amy worked as a VA for Crystal Paine, one of her jobs was to filter through all the guest post requests and select those that would be a great fit for Crystal’s audience. With that experience and her own blogging knowledge in mind, Amy shares 8 fabulous tips for successfully navigating the geography of guest-posting. If you want to guest post somewhere, read the blog first. Read many articles until you have an excellent idea of what topics are discussed and the overall style of the blog. Your goal is to build relationships, not just grab some cheap link juice. Read the guest post guidelines before you send out an email request. A lot of your questions will be answered, and you may be able to give the blogger exactly what they’re looking for. Search “guest post guidelines” or look at previous guest posts to find a blurb there on guest posting. If the guidelines are nowhere to be found, send a super short email explaining that you’d love to guest post on topic xyz, because her readers might appreciate that, and does the blogger have any guest post guidelines? Provide absolute value to the readers of that particular blog. Help them; focus on them. Ensure that your content is extremely high-quality. Proofread everything, check all links, include excellent photos, and write in a compelling manner that fits the feel of the blog. Make sure your guest post is not published anywhere else online. The post should not be re-published on your own blog. You could perhaps share the first paragraph of your post and then link to where you guest-posted, but do not re-publish the article in its entirety. Be very careful about putting your own links in the body of the post. This is considered bad etiquette by some bloggers. The exception to linking is your bio. You absolutely want to include a short bio with an excellent link back to your site at the end of your post. 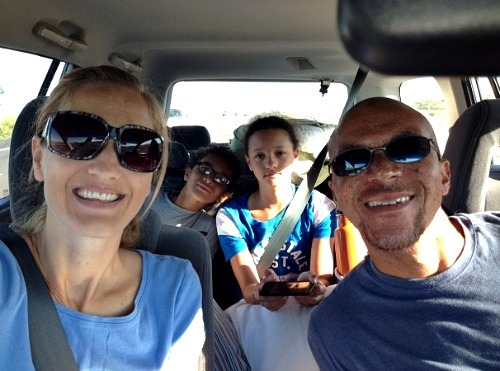 Get more tips from Amy on Guest Posting! We all understand that guest posting is not just about doing random acts of kindness for other bloggers. Our goal is to reach a new audience and build new relationships. Hopefully, we’ll land on a few new loyal readers and grow our own website in the process. With that being said, there are right and wrong ways to make the most of a guest posting opportunity. 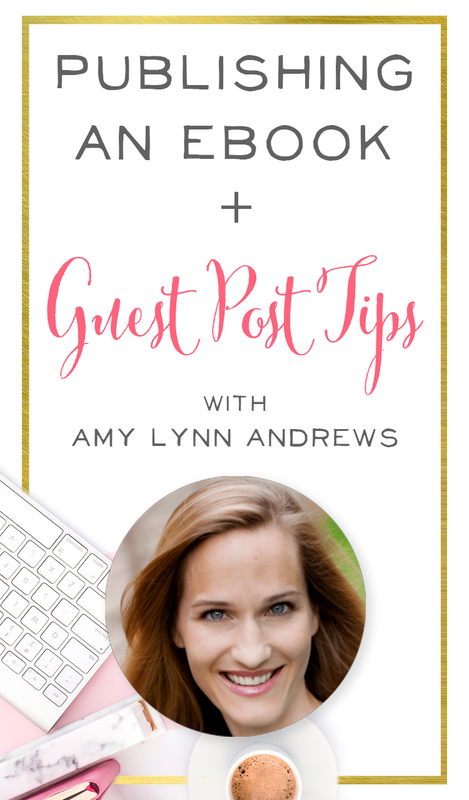 Amy shares excellent advice on guest posting so that your relationship with the other blogger as well as your new readers is strengthened and off to a great start. From that bio link, don’t link directly to your homepage, but rather a landing page specifically designed for that new audience coming from your guest post. Put yourself in a brand new reader’s shoes and pretend that you’re a tour guide. Thank them for stopping over and let them know that if they liked your post on X’s site, they may be interested in X, Y, and Z articles from you. Nail down the main goal for new visitors to your site. Is it to get them onto your email list? Is it to sell them your e-book, course, or some other product? That main goal dictates where you want them to go and what you want them to do. With your goal in mind, your landing page may gently lead your new reader towards a product or a freebie that compels them to join your email list. Again, though, your goal is to be insanely helpful and provide great content. Gently steer; don’t be pushy or sales-y. 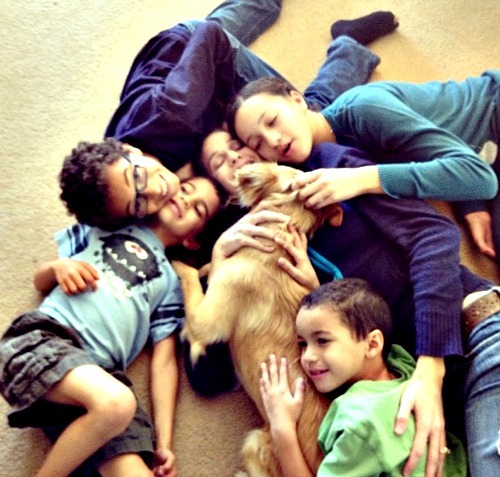 You want your new readers to stick around for the long haul, so treat them with care. 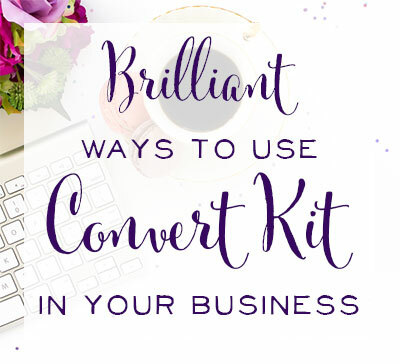 Wow, Sarah and I are still in awe of all the incredible tips Amy shared with us on the call! Did you feel like you were listening in on a coaching call with an online business expert? We sure did! 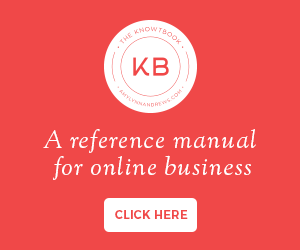 If you want even more awesome tips from Amy, check out her Knowtbook. 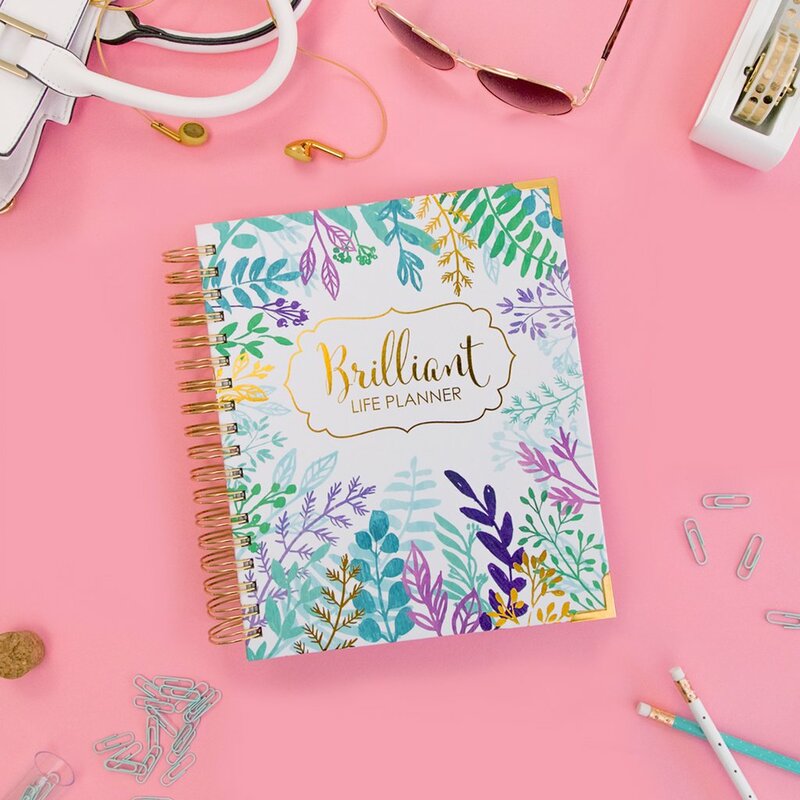 The Knowtbook is her personal digital notebook where she saves notes on things she's learned from personal experience, reading, and watching others. If you want a chance to pick Amy's brain, here it is! You can find her as Amy Lynn Andrews on Pinterest, Instagram, Facebook, and Twitter too!